Once you have your audiences attention you must engage with them to help move them through the sales process. Provide them with opportunities to learn more about you and what you do and how it can help them solve their problems. Use social media to listen and participate in the conversion to better understand the problems people need your help with. 80% of your effort should be focused on educating, enlightening and entertaining and only 20% on promoting your product or service. Content marketing you will establish you as an expert in your industry and the obvious choice for helping your audience solve their problems when they need to turn to a professional. 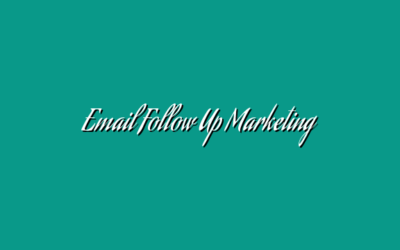 Follow up marketing will make it easy for your customers to buy from you because you consistently remind them of the value that you deliver and give them an easy path to obtain your product or service. Read below for specific strategies you can use to be engaging. Active participation with your community is the key to social engagement. In the digital world this includes everything from social media comments, likes, shares and chats to email and sms. Content marketing is a strategy based on providing useful and interesting things for prospects rather than simply putting ads in front of them.